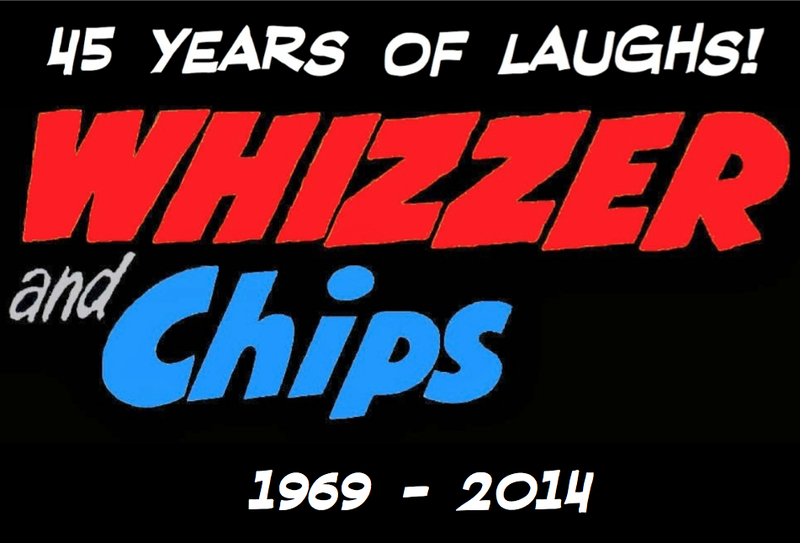 There was, as there was with Buster, a "Comic Library" series for Whizzer and Chips. 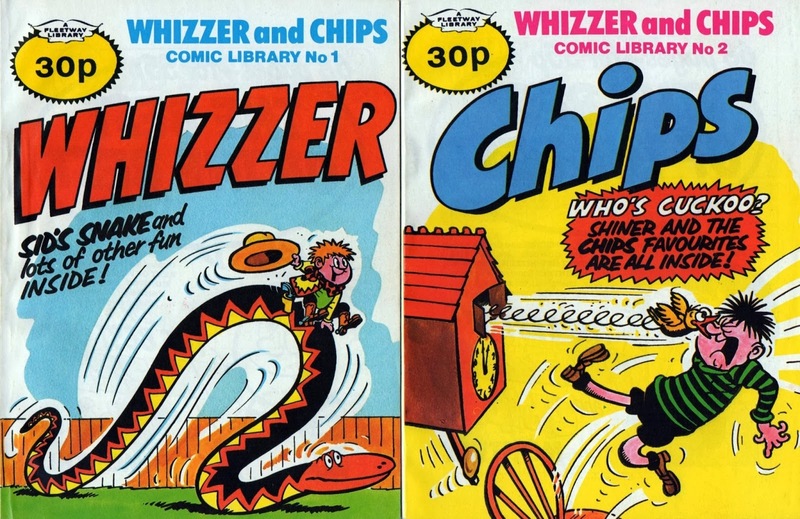 This format was different from other Comic Libraries in that two issues were on sale at once and one was a 'Whizzer' comic and the other a 'Chips'. 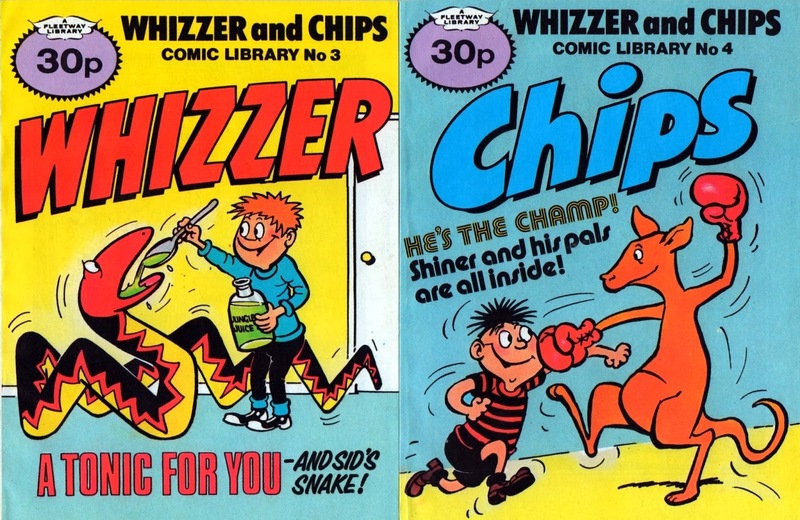 I've had four or five of these comics for some time now and for a while have been trying to find out just how many of them there were, a fruitless task with which an answer could not be found in the comics or by anybody I contacted and asked. 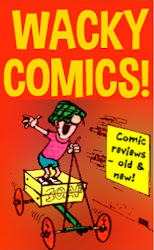 However, there is light at the end of the tunnel and Kid over at his blog 'Crivens! 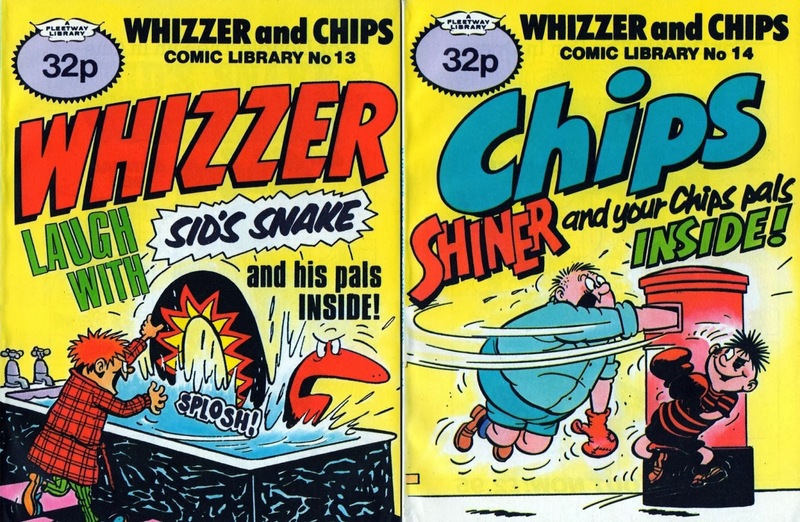 Comicbooks, Cartoons & Classic Collectables!' 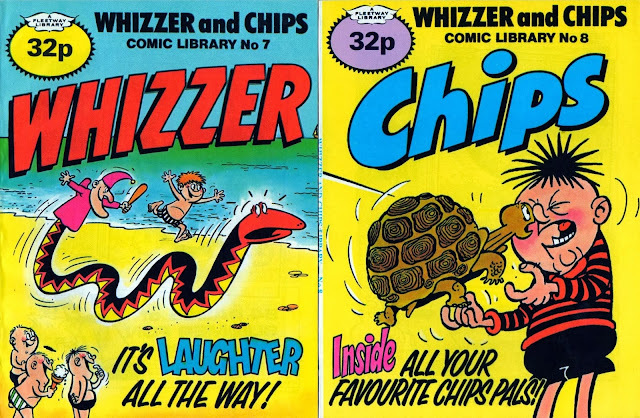 revealed there to be fourteen, and accompanied this fact with a complete cover gallery. So, if you didn't see the post here they are - all fourteen smashing covers! 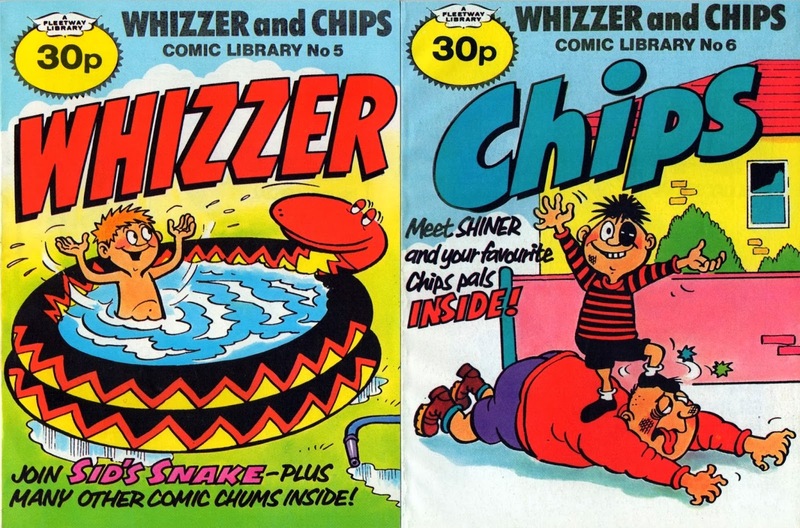 I remember these, poor quality. 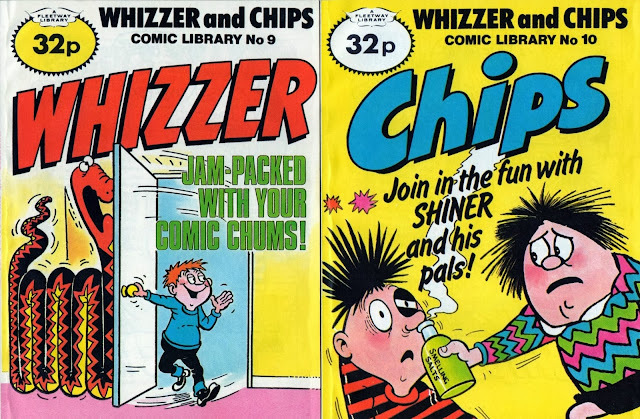 At least the Dandy and Beano ones were new stories . 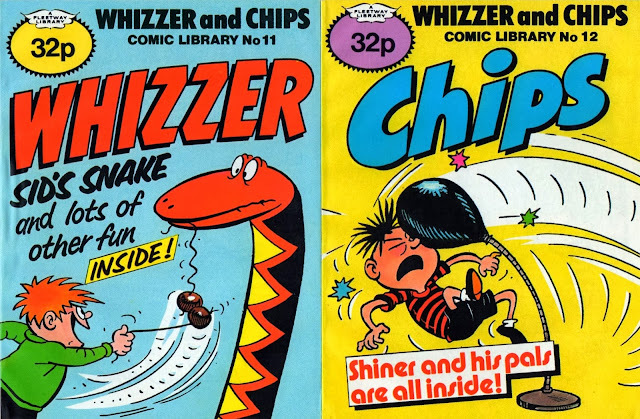 I think that was the major contributor to the failure of all of IPC's comic libraries (Whizzer and Chips, Buster), possibly due to the fact they went the reprint route instead of forking out for new artwork and stories, but then again, if they did do that, they would be totally aping the DCT libraries.